Content for Ecommerce. Conversion is the lifeblood of business. But, a recent statistics report says that only 22% of online businesses are satisfied with their conversion rates. 1. Did you know that you can create Web Scraper for any website! – Data access with your login & password. 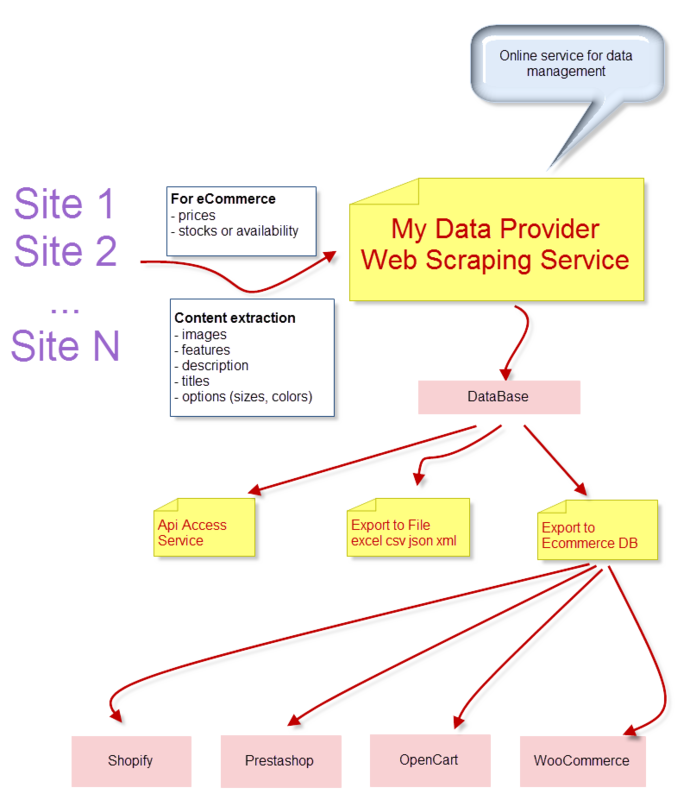 * In special cases, we develop web scraping software for clients with SLA & NDA. 3. Import & sync data at your database. You can use our custom products import modules to different databases. – It allows user to create entries automatically. – It is optimized for network. – Import modules update only changed data. – You can use them for sync uninstructed data between any database. – Full compatibility with eCommerce data. 4. You can implement any project. This is because we have private software that can be adopted your task.